Too many times we hear from customers that their cheap flip flops or sandals cause them unbearable foot pain or heel pain. Their pain usually happens because their flip flops or sandals lack proper support. Many keep wearing cheap flimsy flip flops that keep pulling on their plantar fascia, hence, causing great harm to their health. Keep reading to find out why you should stop wearing cheap flip flops. Find out how wearing a good pair of flip flops for Plantar Fasciitis may help prevent foot pain and heel pain. Without getting technical, plantar fasciitis is the inflammation and stretching of the plantar fascia. You may first experience the pesky pain of plantar fasciitis as soon as you stand up in the morning or after a long resting period. The most common symptom of plantar fasciitis is a stabbing pain at the bottom of your foot, which can gradually develop over time but not everyone develops plantar fasciitis at the same rate or experiences the same pain. Some people describe the pain as dull, while others experience a sharp or burning pain. Although symptoms may vary from one person to another, common causes remain the same. Click here to read more about plantar fasciitis. Purchasing cheap flip flops for their low price can be alluring; however, they may not be a good healthy choice for your feet. Flimsy flips flops tend to hurt your feet because they are flat and not supportive enough. They are designed to be flat, lightweight, and not supportive. As a result, cheap flip flops or sandals with no support stretch your plantar fascia, causing you horrible pain. Why should I wear supportive flips flops for plantar fasciitis? Too many times our customers complain they experience the worst pain when they wear their cheap flip flops or sandals. Since this usually means they are wearing unsupportive flip flops; which continue to boost the stretching of their plantar fascia. For this reason, we recommend wearing supportive flip flops that will help you alleviate the pain of plantar fasciitis. 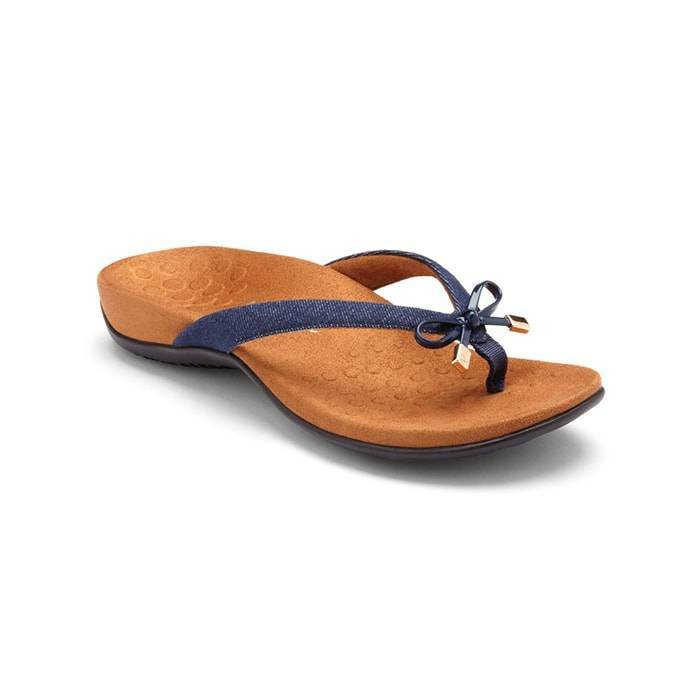 When you are searching for best flip flops for plantar fasciitis, you should look for key features such as excellent arch support, contoured footbed, and deep heel cup. So, if you are asking yourself, “what should I look for in a flip flop for plantar fasciitis?” keep reading. 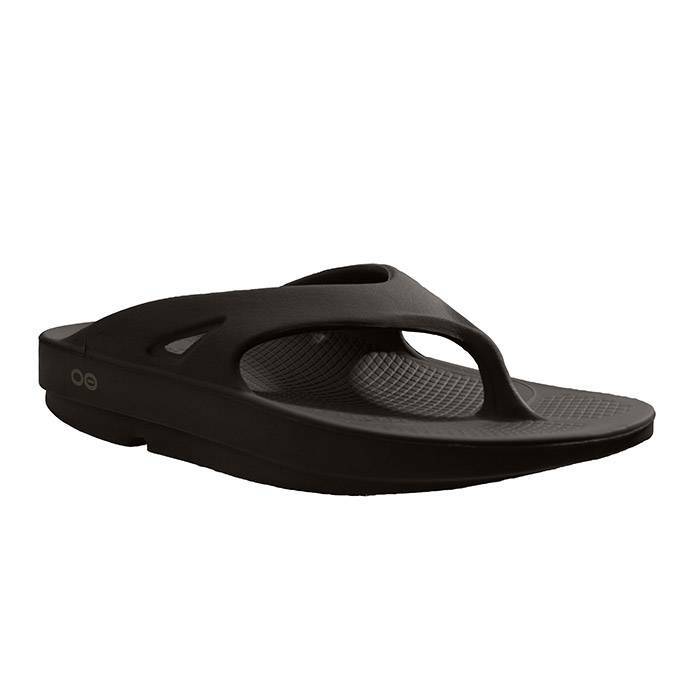 Best flip flops for plantar fasciitis should offer enough arch support, which is actually the main thing! 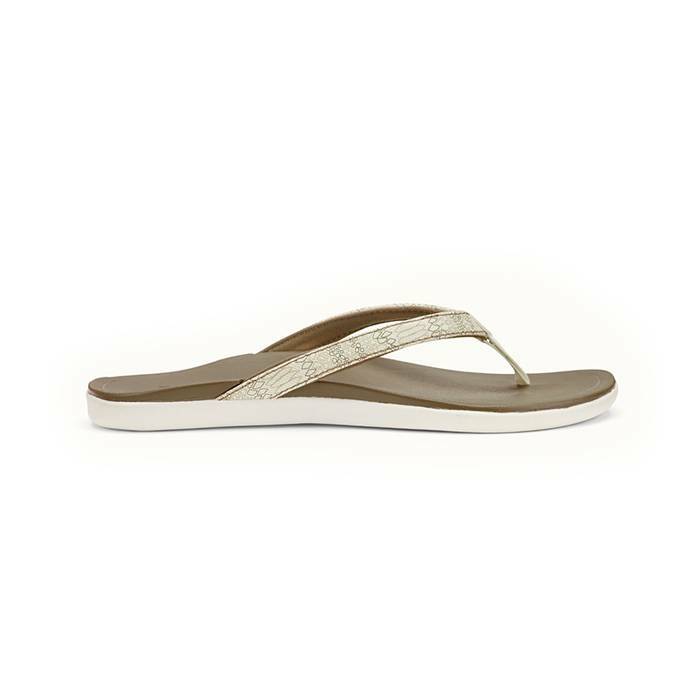 The arch support should offer enough support to keep your feet from flattening out and help limit pronation. A contoured foobed is also ideal. 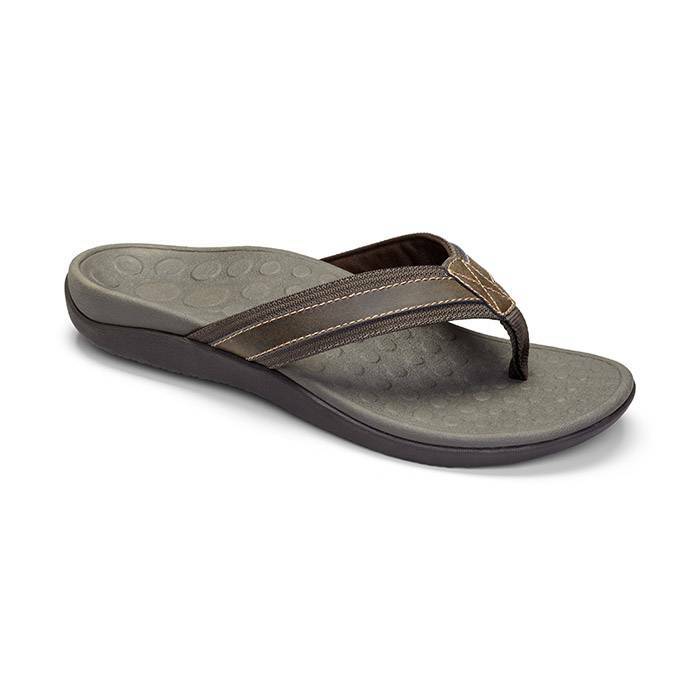 Flip flops with both arch support and a contoured footbed help promote alignment by evenly distributing your weight across your foot. Deep heel cups keep your heel padded while keeping you stabilized with every step. What should I look for a flip flop for plantar fasciitis? 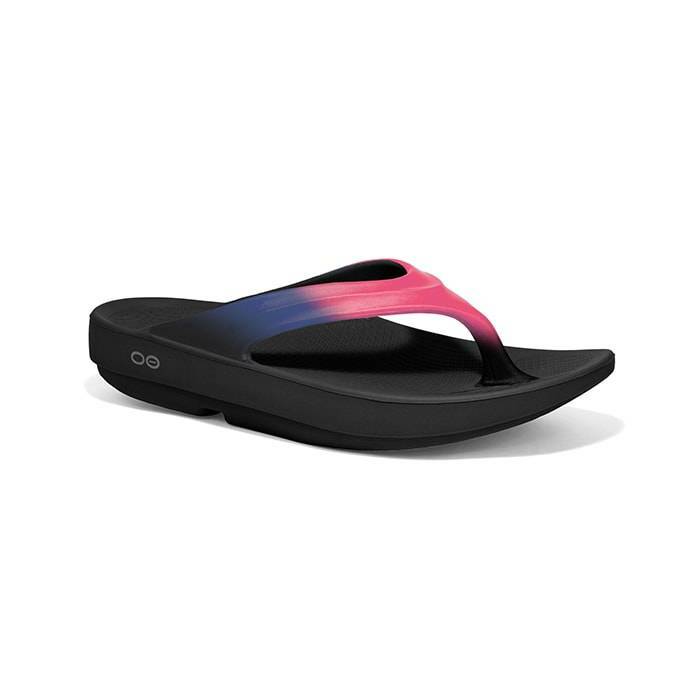 We listed our best women’s and men’s flip flops for plantar fasciitis based on most positively reviewed flip flops that customers have found to be great for their plantar fasciitis. 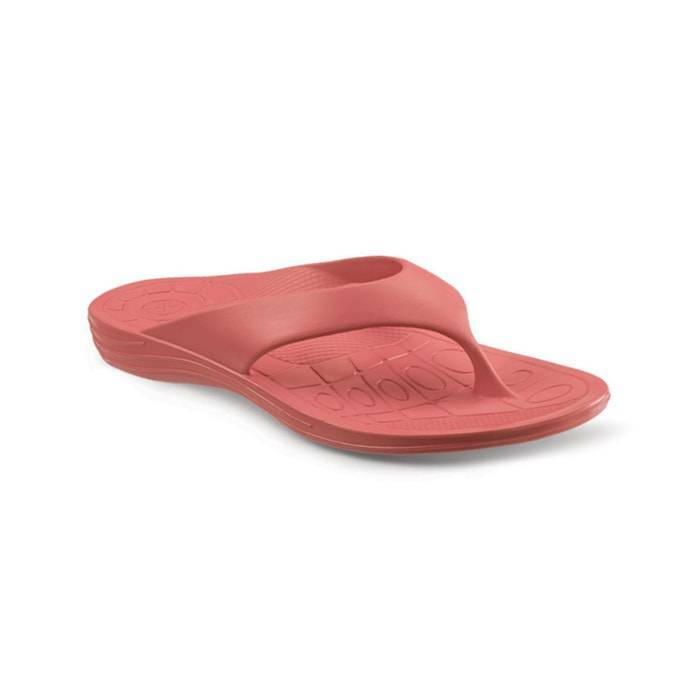 Every flip flop recommend below for plantar fasciitis embraces our reviewed key features: excellent arch support, contoured footbed, and deep heel cup. If you are looking for best flip flops for plantar fasciitis in San Dimas, Long Beach, Cerritos, Glendora, Pomona, Covina, West Covina, La Verne, Azusa, Diamond Bar or Claremont; then visit our store in San Dimas or Long Beach for your footwear needs. 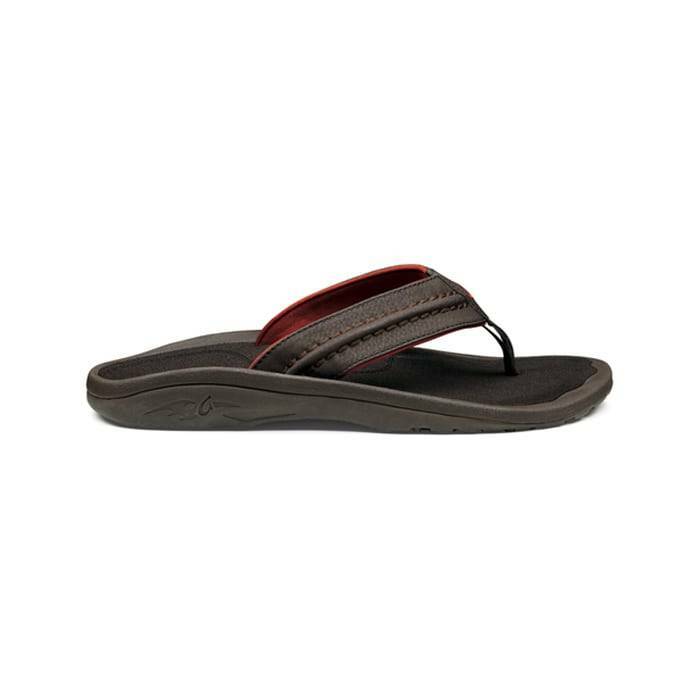 If you are looking for best flip flops for plantar fasciitis in Rancho Cucamonga, Ontario, Upland, Fontana, Rialto, Chino, Chino Hills, Mira Loma, Eastvale, Colton or San Bernardino; then visit our store in Rancho Cucamonga for your footwear needs. 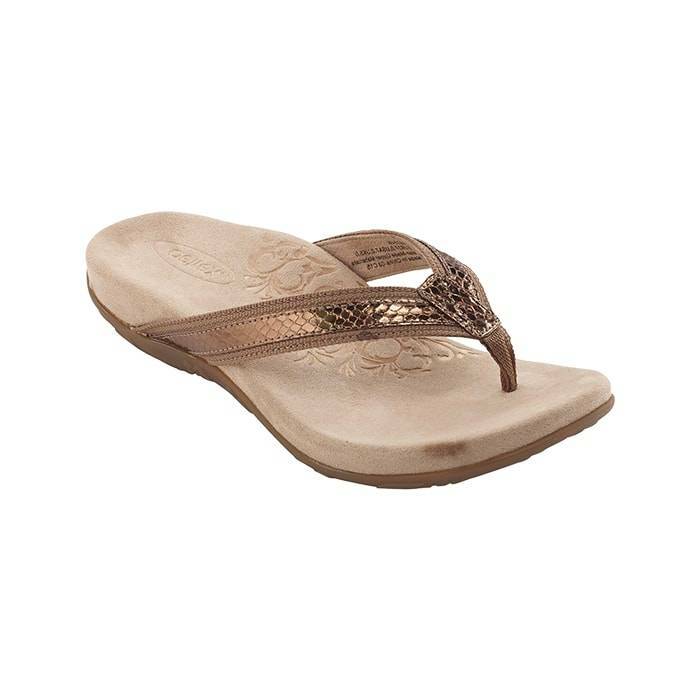 If you are looking for best flip flops for plantar fasciitis in Riverside, Moreno Valley, Corona, Rubidoux, Loma Linda, Grand Terrace, Redlands or Norco; then visit our store in Riverside for your footwear needs. If you are looking for best flip flops for plantar fasciitis in the Temecula Valley, Murrieta, Fallbrook, Lake Elsinore, Wildomar, Hemet, San Jacinto, Pala, Sun City, Menifee, Canyon Lake, Perris, Bonsall or Anza; then visit our store in Temecula for your footwear needs. If you are looking for best flip flops for plantar fasciitis in Indio, Coachella, Thermal, Vista Santa Rosa, Valerie; then visit our store in La Quinta for your footwear needs. 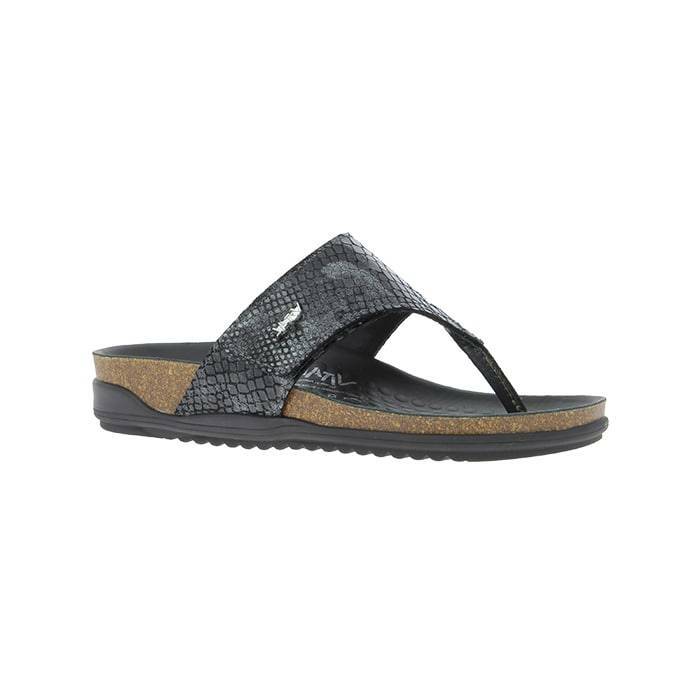 If you are looking for best flip flops for plantar fasciitis in Cathedral City, Thousand Palms, Palm Desert, Palm Springs, Desert Springs, Rancho Mirage or Bermuda Dunes; then visit our store in Palm Desert for your footwear needs.